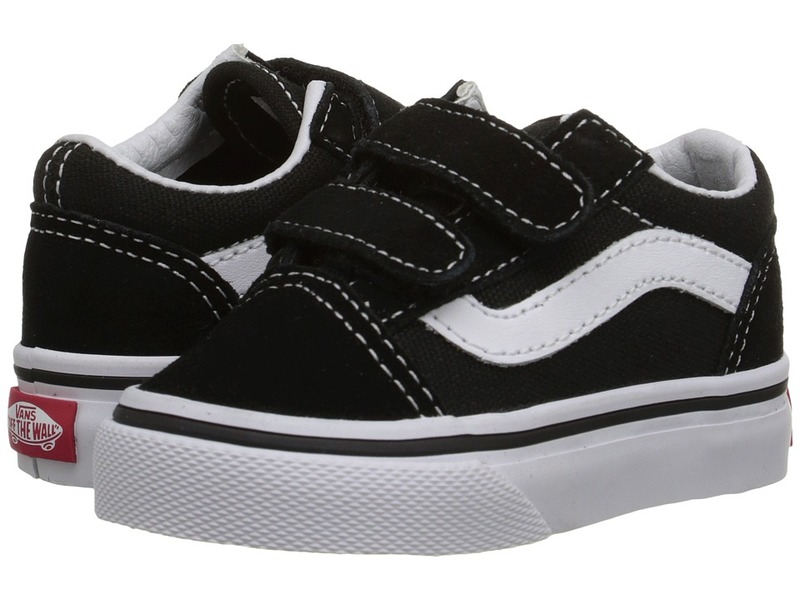 Keep your kid laced in the classic goods with Old Skool V from Vans Kids. Suede and canvas upper. Features padded collar and tongue for comfort and protection. Double hook-and-loop closure for easy on and off. 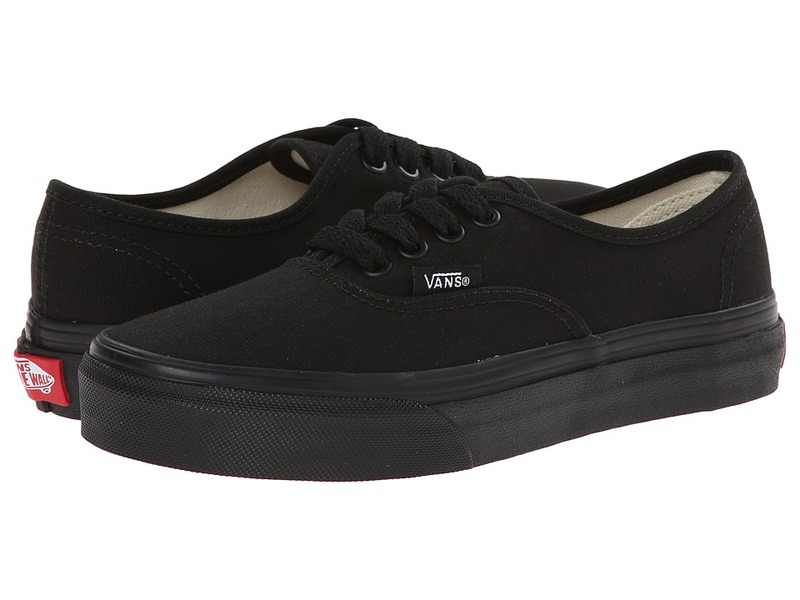 Signature Vans Off-the-Wall outsole. Vans logo detail on rear foxing. Imported. Measurements: Weight: 5 oz Product measurements were taken using size 9 Toddler, width M. Please note that measurements may vary by size. Weight of footwear is based on a single item, not a pair. 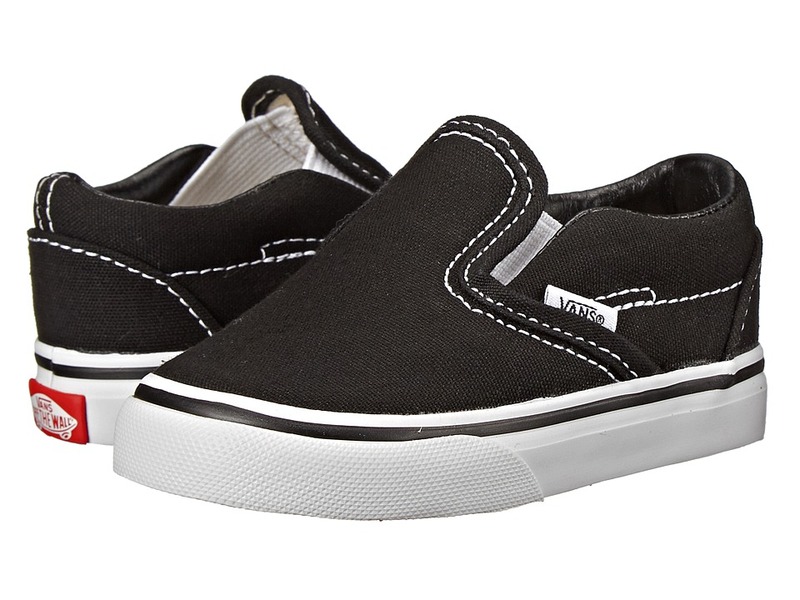 Impress your friends and your feet with the Classic Slip-On&amp#8482 from Vans&amp#174 Kids. 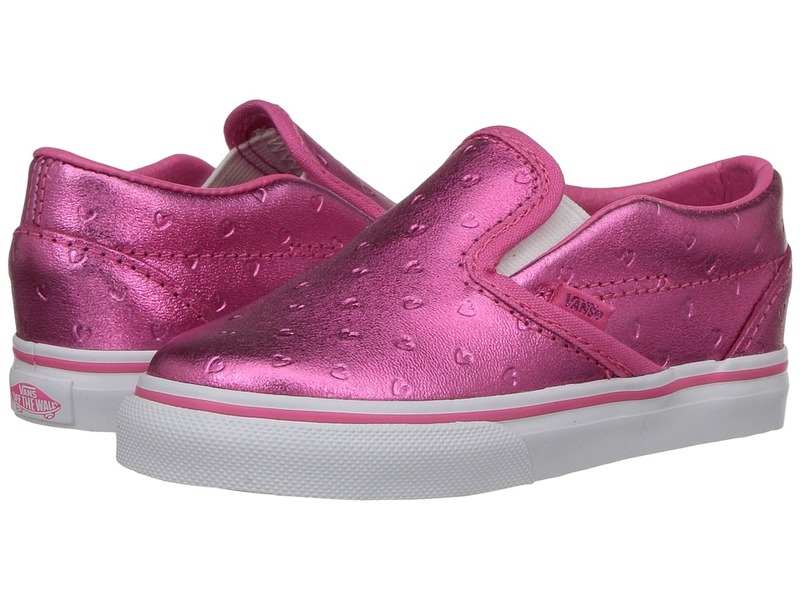 Classic slip-on deck shoe for the littlest feet! Bold color choices and graphics decorate the canvas upper. Smooth textile lining provides added comfort. Durable rubber outsole has plenty of grip. Measurements: Weight: 4 oz Product measurements were taken using size 8 Toddler, width M. Please note that measurements may vary by size. Weight of footwear is based on a single item, not a pair. 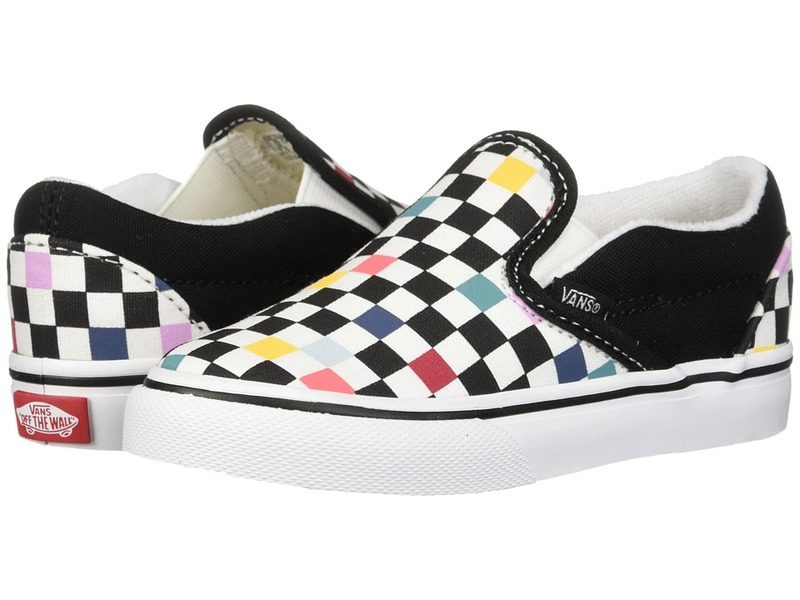 Step things up a notch with the timeless style of the Vans&amp#174 Classic Slip-On&amp#8482 Shoes. Durable canvas upper sports bright colors and bold graphics. Slip-on style creates an easy on and off. Elastic gore side strips create a secure fit. Durable rubber outsole for a long last. Supreme traction keeps you on your feet. Get them while you can! Measurements: Weight: 9 oz Product measurements were taken using size 2 Little Kid, width M. Please note that measurements may vary by size. Weight of footwear is based on single item, not the pair. Go Old Skool&amp#8482 in these classic Vans&amp#174. Suede or canvas upper in crazy-cool patterns and colors. Features padded collar and tongue for extra comfort. Soft lining and insole. Double hook--loop closure for easy on/off. Durable rubber outsole for plenty of grip. Measurements: Weight: 5 oz Product measurements were taken using size 8.5 Toddler, width M. Please note that measurements may vary by size. Weight of footwear is based on single item, not the pair. 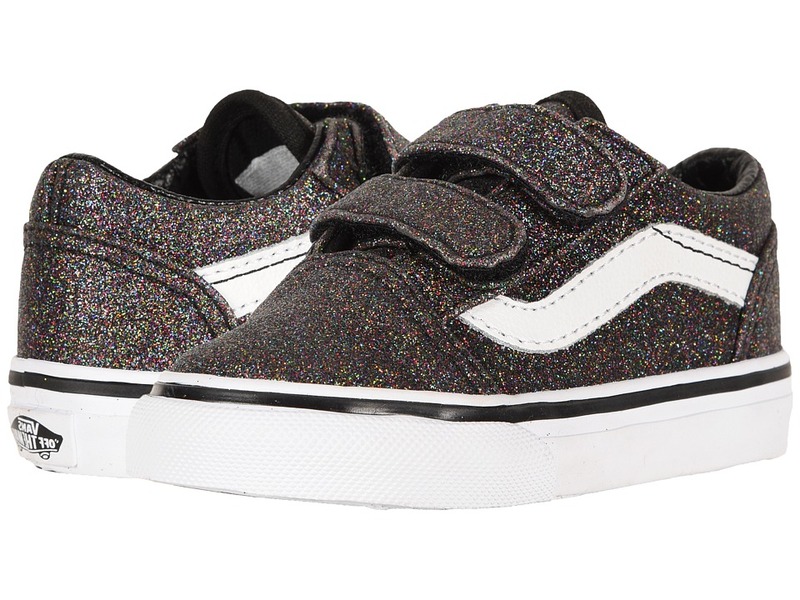 Classic slip-on Vans Kids deck shoe for the littlest feet! Featured in a printed canvas upper. 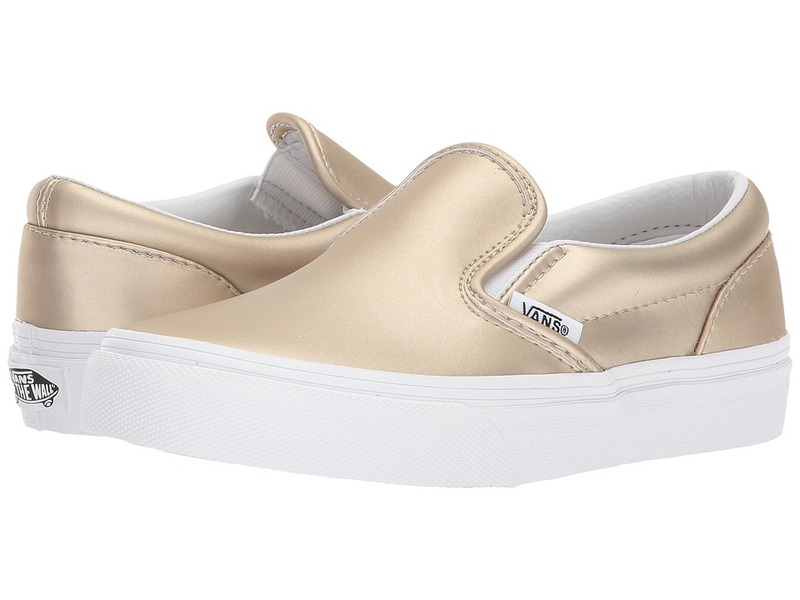 Slip-on construction for easy on and off. Soft, flexible synthetic outsole. Imported. Measurements: Weight: 1 oz Product measurements were taken using size 3 Infant, width M. Please note that measurements may vary by size. Weight of footwear is based on a single item, not a pair. 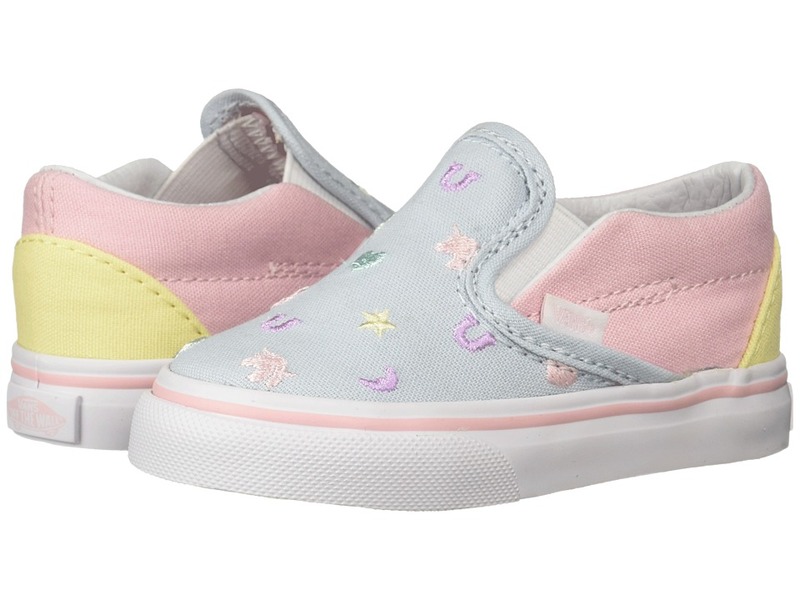 Let your tiny one~s feet do some talking while they do all of the walking in these sweet Vans Kids Classic Slip-On shoes! Featured in a canvas upper with tons of awesome choices and styles. Slip-on design provides an easy on and off wear. Elastic goring on side for an adjustable fit. Smooth textile lining for all-day play. Durable rubber outsole for added support during your toddler~s firsts steps. Imported. Measurements: Weight: 5 oz Product measurements were taken using size 8 Toddler, width M. Please note that measurements may vary by size. Weight of footwear is based on single item, not the pair. 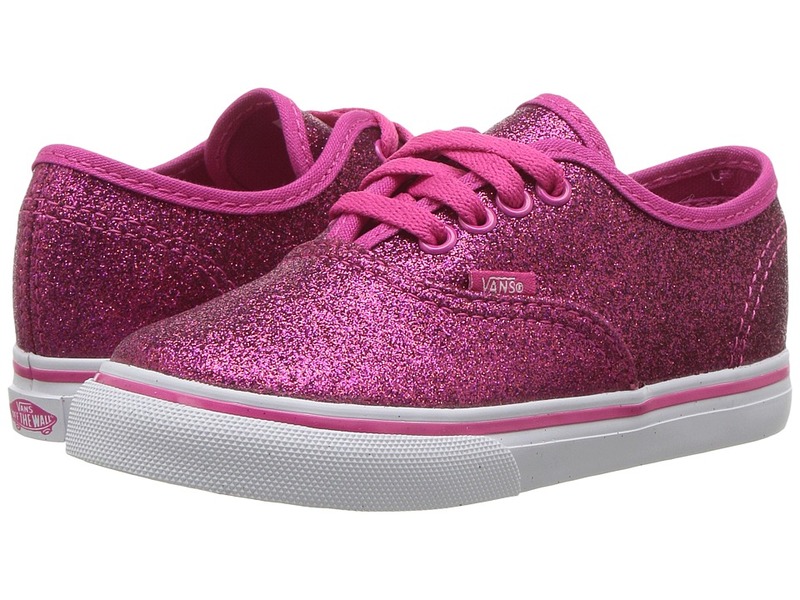 Live the iconic life in the Vans Kids Authentic! Durable canvas upper that is lightweight and flexible. Lace-up closure for a comfortable and snug fit. Textile lining for a great in-shoe feel. Non-marking rubber outsole. Measurements: Weight: 8 oz Product measurements were taken using size 12.5 Little Kid, width M. Please note that measurements may vary by size. Weight of footwear is based on single item, not the pair. 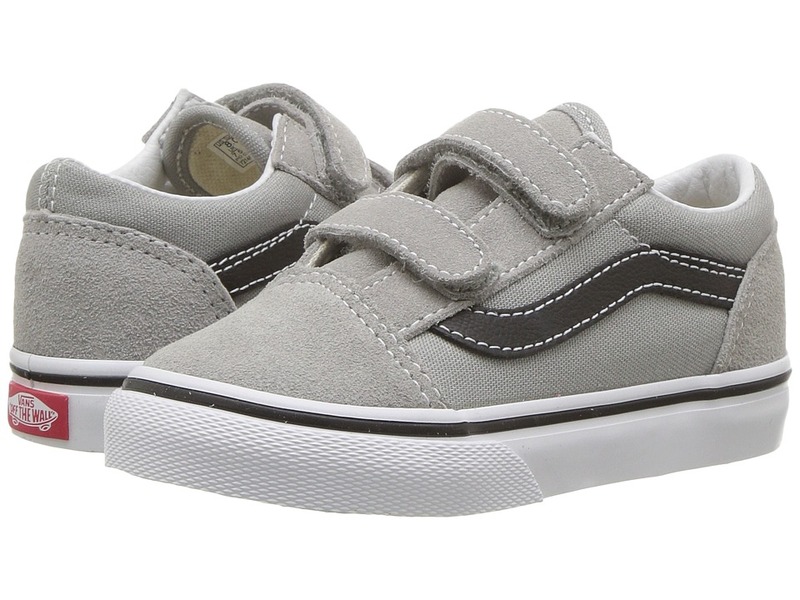 Start your tiny one on the right foot with the Vans Kids Authentic! 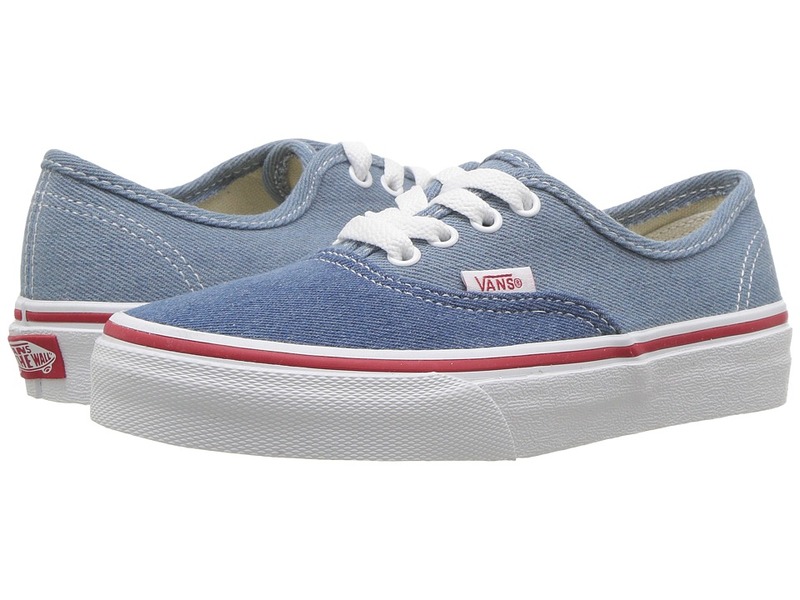 Lightweight and flexible canvas upper for durability. Various colors and prints available. Lace closure for a snug fit. Textile lining for a comfortable wear in shoe. Die-cut EVA foam insert for added comfort and cushion. Traditional gum rubber outsole. Imported. Measurements: Weight: 5 oz Product measurements were taken using size 9 Toddler, width M. Please note that measurements may vary by size. Weight of footwear is based on single item, not the pair. Keep it real with the Vans Kids Authentic! Canvas or suede upper that is lightweight and flexible for all-day wear. Lace closure for a secure fit. Textile lining for a great feel in-shoe. Die-cut EVA insert for comfort and cushion. Traditional gum rubber outsole for better board feel. Imported. Measurements: Weight: 9 oz Product measurements were taken using size 2 Little Kid, width M. Please note that measurements may vary by size. Weight of footwear is based on single item, not the pair. Looking for a basic with comfort and style? There~s a reason why the Authentic&amp#8482 Core is a classic. Lightweight and flexible canvas upper. Cotton drill lining. Die-cut EVA insert. Traditional gum rubber outsole. 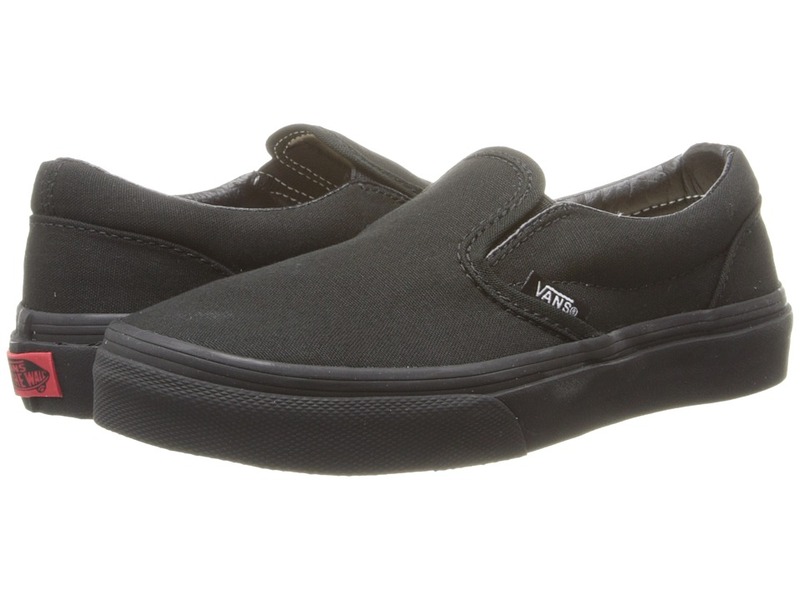 Vulcanized sole attachment. Measurements: Weight: 3 oz Product measurements were taken using size 9 Toddler, width M. Please note that measurements may vary by size. Weight of footwear is based on single item, not the pair. 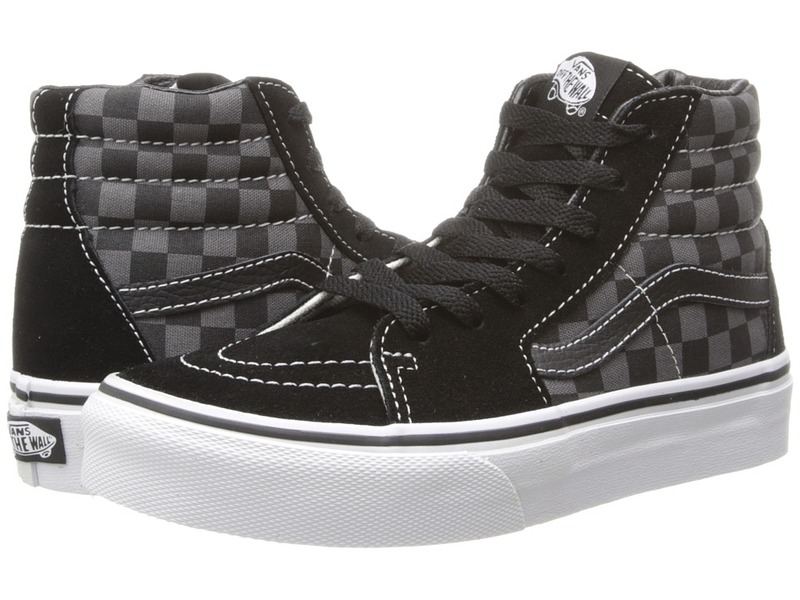 The classics never die, and neither will the retro look of the Vans SK8-Hi. Step back in time with the timeless detailing of the suede and canvas upper. Cool high-top silhouette that everyone will want. Durable materials are used for a longer last. Lace-up closure for a snug fit. 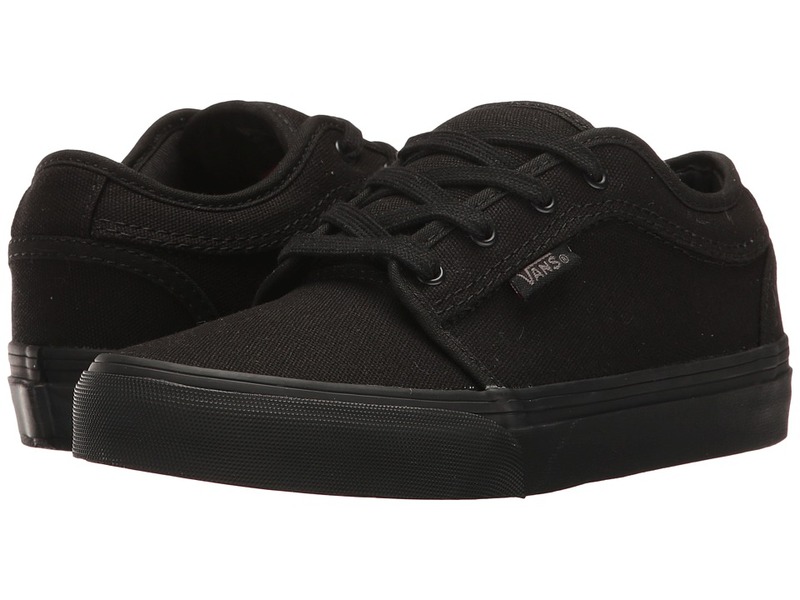 Vulcanized rubber midsole with logo detailing at back. Flexible rubber outsole with waffle-shape pattern for grip. Measurements: Weight: 11 oz Product measurements were taken using size 2 Little Kid, width M. Please note that measurements may vary by size. Weight of footwear is based on single item, not the pair. Classic lace-up skate shoe. Leather or textile upper. Padded collar for comfort. Double stitch vamp. Die-cut EVA insert. Traditional gum rubber outsole. 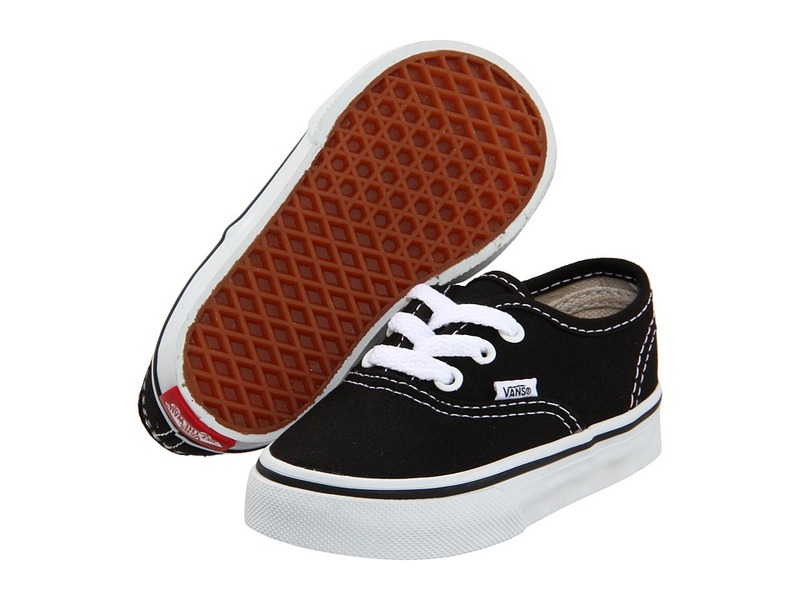 Vulcanized sole. Measurements: Weight: 9 oz Product measurements were taken using size 2 Little Kid, width M. Please note that measurements may vary by size. Weight of footwear is based on single item, not the pair. Find an optimal balance between performance and construction in the Vans&amp#174 Kids Chukka Low. Choose from canvas and suede uppers or ribbed-cotton uppers for a timeless look that finds its timeless edge. Clean and classic design with a lower silhouette. Lace-up closure gives you a snug and comfortable fit. Soft textile lining feels great on the feet. Lightly padded insole. Durable rubber midsole and outsole. Measurements: Weight: 8 oz Product measurements were taken using size 2 Little Kid, width M. Please note that measurements may vary by size. Weight of footwear is based on single item, not the pair. 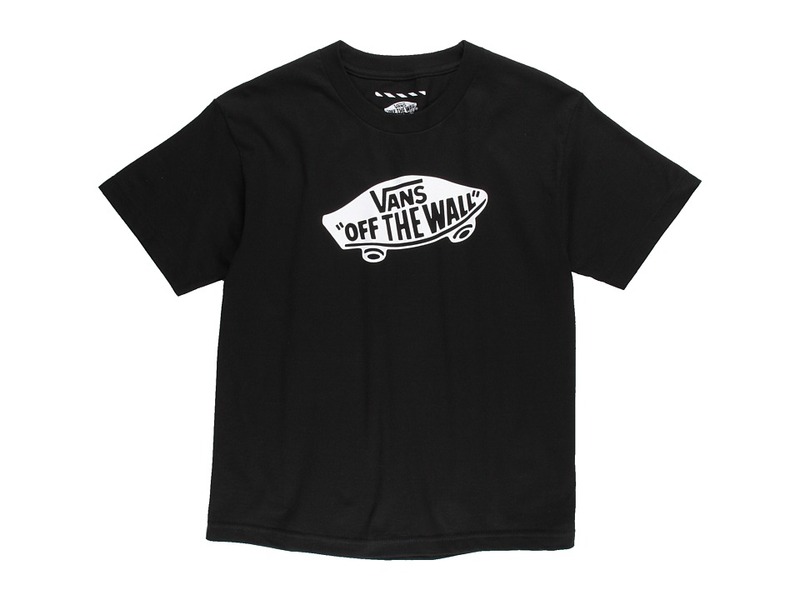 Get your look on point by grabbing the OTW Tee from Vans&amp#174. Cotton-poly fabric blend provides for both soft comfort and durability. Crew neck design. Hemmed short sleeves. Classic Vans logo graphic on chest. Straight hemline. 90 percent cotton, 10 percent polyester. Machine wash cold, tumble dry low. Imported. Measurements: Length: 25 in Product measurements were taken using size MD (10-12 Big Kids). Please note that measurements may vary by size.